When storm (cyclone) warnings are given by news channels, they mostly report only the storm warning signal numbers hoisted in sea ports. 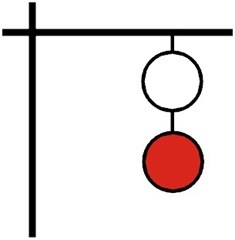 What those signal numbers imply are not known to the common man listening/viewing the news. Here I have brought out some details of Visual Storm (Cyclone) Warning Signals for Indian Sea Ports. Before going through the details, let me give you first some information on cyclone warning system in India. The India Meteorological Department (IMD) is responsible to provide tropical cyclone warnings. Tropical cyclone warnings are provided by three Area Cyclone Warning Centres (ACWCs) located at Kolkata, Chennai and Mumbai in addition to three Cyclone Warning Centres at Bhubaneswar, Visakhapatnam and Ahmedabad. The entire cyclone warning work is coordinated by the Deputy Director General of Meteorology (Weather Forecasting) at Pune and Deputy Director General of Meteorology (Services) at New Delhi. conventional surface and upper air observations from inland and island stations, coastal Automatic Weather Station (AWS), ships and buoy observations. cyclone detection radar including Doppler Weather Radar. satellite cloud pictures from the Geostationary Satellite (INSAT 3A & Kalpana1). The storm warning signals (both day and night signals) are hoisted prominently on masts in ports. Day signals are in the form of cones and cylinders. Night signals are in the form of red and white lamps. In addition to hoisting signals, most of the ports have arrangements to disseminate information and warnings received by them to ships in harbour and to ships leaving/entering harbour. 1. Implies that there is a region of squally weather in which a storm may be forming (well marked ) low or depression with surface winds up to 61 km/hour (33 knots) 2. 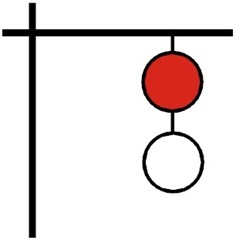 Day and Night signals shown below are hoisted to indicate that ships may be exposed to danger after leaving harbour. 1. Implies that a storm has formed (cyclonic storm with surface winds 62-88 km/hour (34-47 knots)) 2. 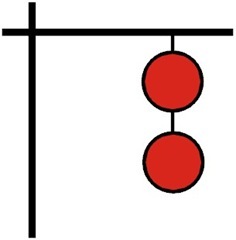 Day and Night signals shown below are hoisted to indicate that ships may be exposed to danger after leaving harbour. 1. Implies that the port is threatened by squally weather (cyclonic circulation with surface winds 40-51 km/hour (22-27 knots) or squalls due Nor’Westers) 2. 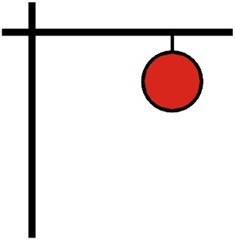 Day and Night signals shown below are hoisted to indicate that the port itself and the ships in harbour are in danger. 1. Implies that the port is threatened by a storm, but it does not appear that the danger is as yet sufficiently great to justify extreme measures of precaution (cyclonic circulation with surface winds 52-61 km/hour (28-33 knots)) 2. 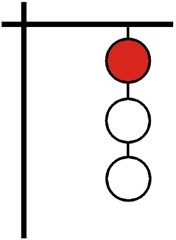 Day and Night signals shown below are hoisted to indicate that the port itself and the ships in harbour are in danger. 1.Implies that the port will experience severe weather from a storm of slight or moderate intensity that is expected to cross the coast keeping the port to the left of its course (to the east of the port in the case of Mangla) (cyclonic storm with surface winds 62-88 km/hour (34-47 knots)) 2. 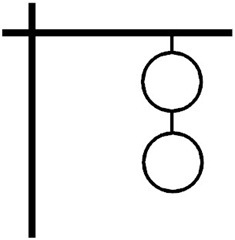 Day and Night signals shown below are hoisted to indicate that the port itself and the ships in harbour are in danger. 1. Implies that the port will experience severe weather from a cyclone expected to move keeping the port to the right of its track. 2. 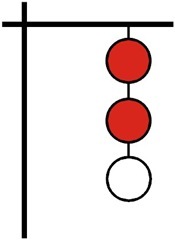 Day and Night signals shown below are hoisted to indicate that the port itself and the ships in harbour are in danger. 1. Implies that the port will experience severe weather from a cyclone expected to move over or close to the port. 2. 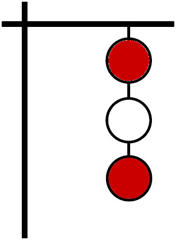 Day and Night signals shown below are also hoisted when a storm is expected to skirt the coast without (actually) crossing it. 1. Implies that the port will experience severe weather from a severe cyclone expected to move keeping the port to the left of its track. 2. 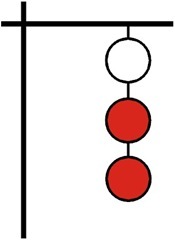 Day and Night signals shown below are hoisted to indicate that the port itself and the ships in harbour are in danger. 1. Implies that the port will experience severe weather from a severe cyclone expected to move keeping the port to the right of its track. 2. 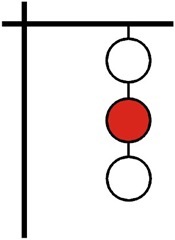 Day and Night signals shown below are hoisted to indicate that the port itself and the ships in harbour are in danger. 1. Implies that the port will experience severe weather from a severe cyclone expected to move over or close to the port. 2. Day and Night signals shown below are also hoisted when a storm is expected to skirt the coast without (actually) crossing it. 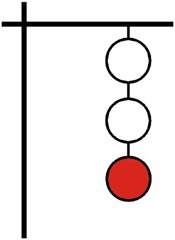 Day and Night signals shown below are hoisted to indicate that communications with the meteorological warning centre have broken down, and the local office considers that there is a danger of bad weather. Very useful and reliable information available in this portal. Thanks. Dear Sir, Marine Buzz is a very informative and right website for various marine related issues and information.Dear sir,kindly let me know what are the standard dimensions of the Visual Storm (Cyclone) Warning Signals for Indian Sea Ports.Dimension means height,width.Also what should be the diameter of a anchor ball.Kindly reply the query eagerly waiting for reply.Thanks and Regard.